My husband is a Diet Dr. Pepper addict so I never have to worry about a shortage of empty 2 liter plastic bottles. 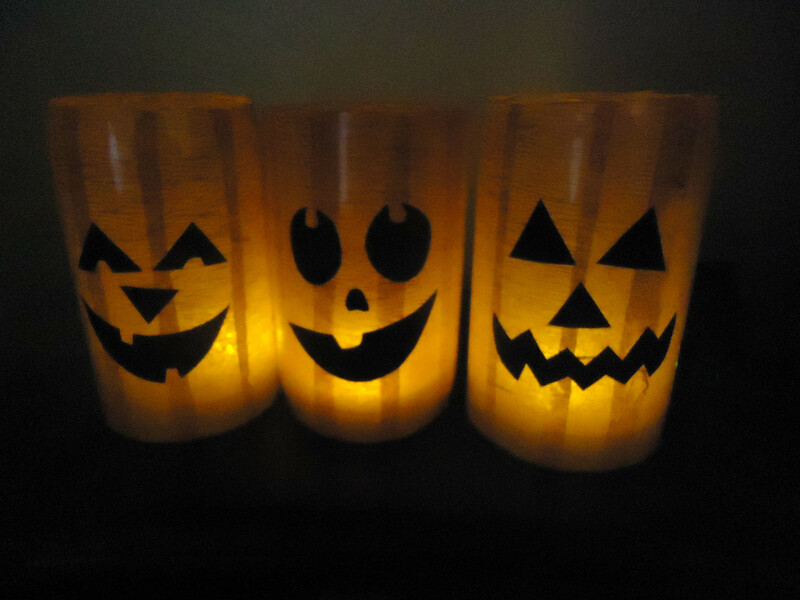 I have been trying to figure out something to use them for and finally came up with the idea for this cute pumpkin luminary. I love the look of the luminaries I've seen made with round hurricane vases and rice paper/vellum and that is in part what inspired me to do this project. Another reason I was inspired is because of the many amazing plastic bottle and other recycling crafts I've seen in hubs by fellow hubber, agusfanani. Prepare the bottle for use by taking the label off and rinsing it out with water to get it clean inside. You may have some left over glue where the label was attached. You can get that off the bottle by using Goo Gone or W-D 40. 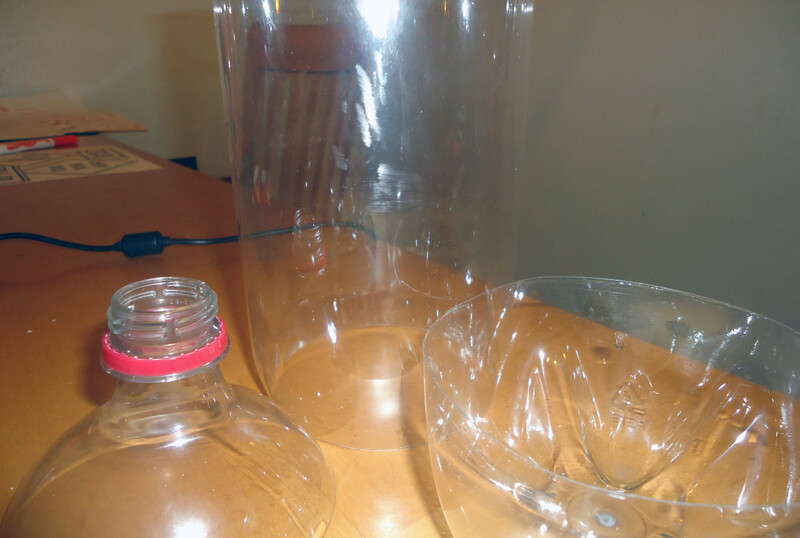 Take the empty 2-liter soda bottle and cut the top off about 3 inches down from the top of the lid, where the curve stops and then cut off the bottom about 2 1/4 inches up from the bottom. I found the best way to do this without damaging the bottle was to first take my X-Acto knife and make a cut in the plastic to get it started and then finish cutting around the bottle with a pair of scissors. Try to cut as even as possible all the way around. You may have to trim it a bit afterwards but as long as it look even, that's all that matters. Discard the top and bottom of bottle, hopefully into a plastic recycle bin or you could save the top of the bottle and use it for a funnel! 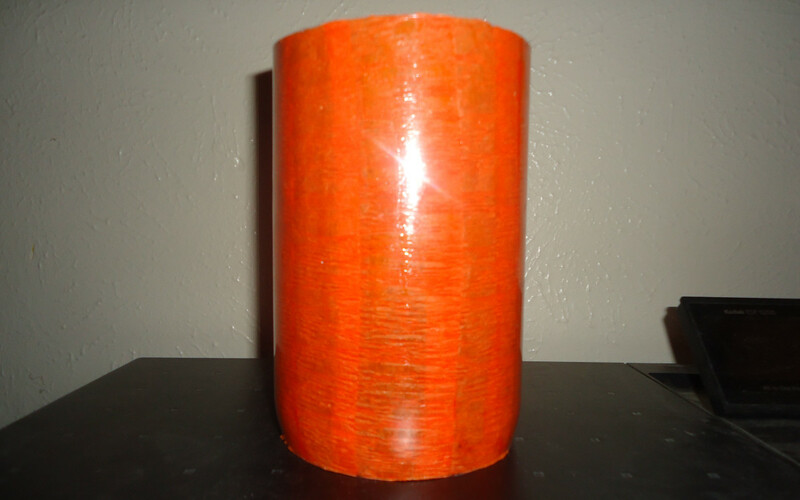 Take the orange crepe paper and cut strips about an inch over the length of the plastic cylinder. 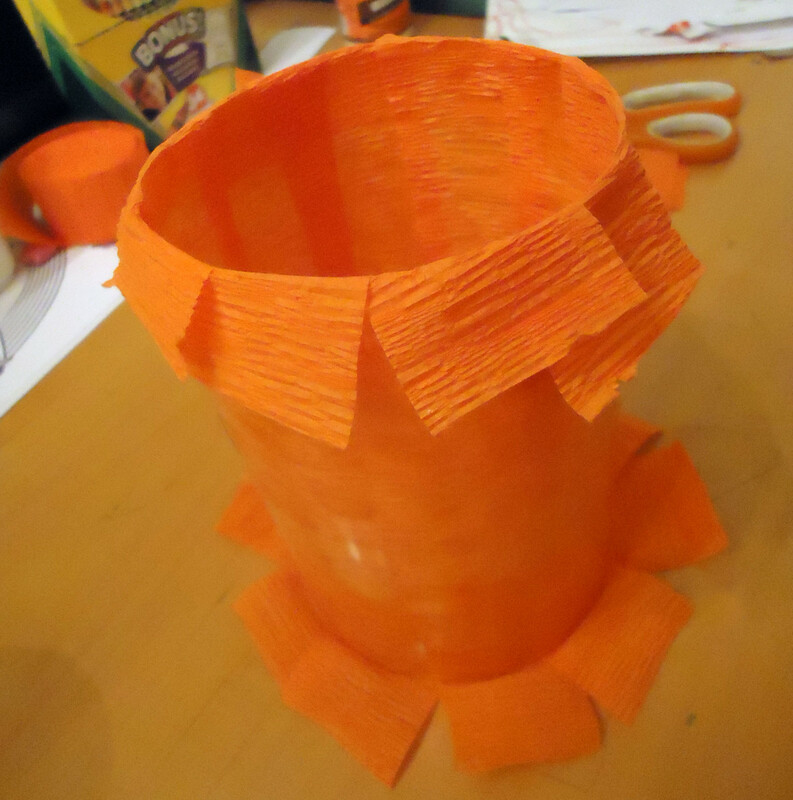 The length of my cylinder turned out to be 6.5 inches so I cut my strips about 7.5 inches. You don't have to measure it out, I just wanted to give you an estimate of the size of my pieces. You can just eye it if you want and it will be fine. 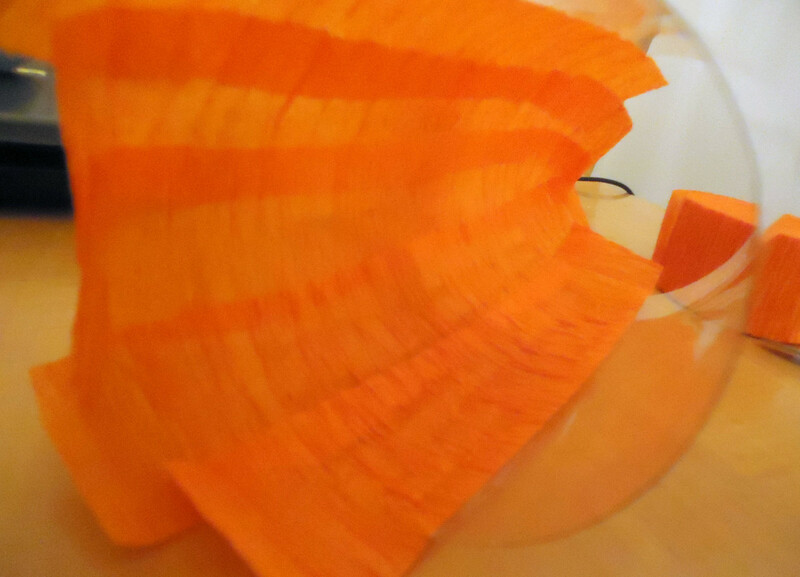 Cut 10 strips of the crepe paper. In vertical sections, apply Mod Podge inside the cylinder and then put a strip of crepe paper over the Mod Podge and gently push down along the crepe paper to make sure it's adhering. Overlap each strip of crepe paper a little bit (1/4 to 1/2 in) to be sure you are covering all the area inside. Keep doing that until you have covered the inside of the cylinder with crepe paper. Be sure to get a good and even coat of Mod Podge, covering the whole area of where you will be laying the strip from top to bottom. It took me 10 strips to cover the inside. Also be very careful while you are doing this. The Mod Podge will cause the crepe paper to be very weak and will be prone to tearing- so just lightly push down the crepe paper onto the Mod Podge to adhere it. Once the inside is covered, sit it aside and let it dry for about 15 minutes. 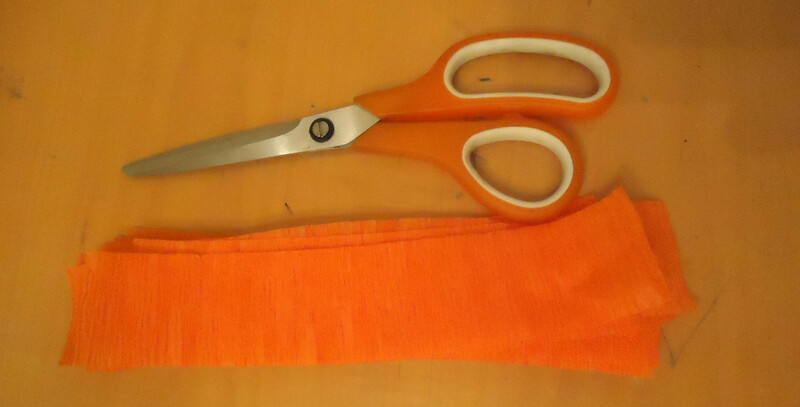 Now go and trim off the excess crepe paper hanging from the bottom and top of the cylinder. I trimmed mine as even as possible with the plastic edge. You may find that the crepe paper is loose around the edge.. that's okay. Just apply Mod Podge to the plastic edge and make sure the crepe paper is completely adhered all around the top and bottom edges and let dry. Now for the face! I used a free template that I found online. I printed it out, colored in the features with my black paint marker, cut them out and glued them onto the outside of the cylinder with Mod Podge but if you are confident enough, you could just freehand the features on with a black paint marker or Sharpie. You could also cut the features out of black construction paper and glue them on or cut them out of black vinyl with adhesive on the back. Now put a candle inside and watch it glow! I used flameless tea lights from the Dollar Tree.. I got a pack of three for only a buck! You could use white crepe paper and make ghosts or green to make Frankensteins. etc. If you don't have crepe paper for the inside of the cylinder, you could just as easily use tissue paper, translucent shopping bags, vellum, etc. I also thought about using watercolors on thin white paper and using that for strips to glue inside the cylinder- I'm thinking that may work if you don't have crepe paper, tissue paper, etc. 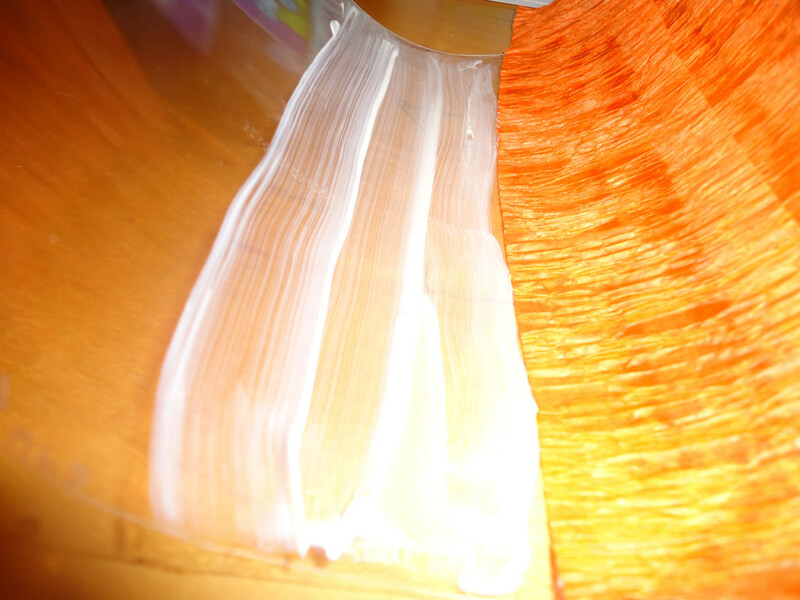 I also thought about mixing Mod Podge and orange paint and brushing that on the inside (instead of the colored paper) to give it a sort of clear orange glass effect. I saw some jars painted like this one time to look like colored glass so I know it works.. just don't know what it will look like as a luminary.. but I'm thinking it would work! 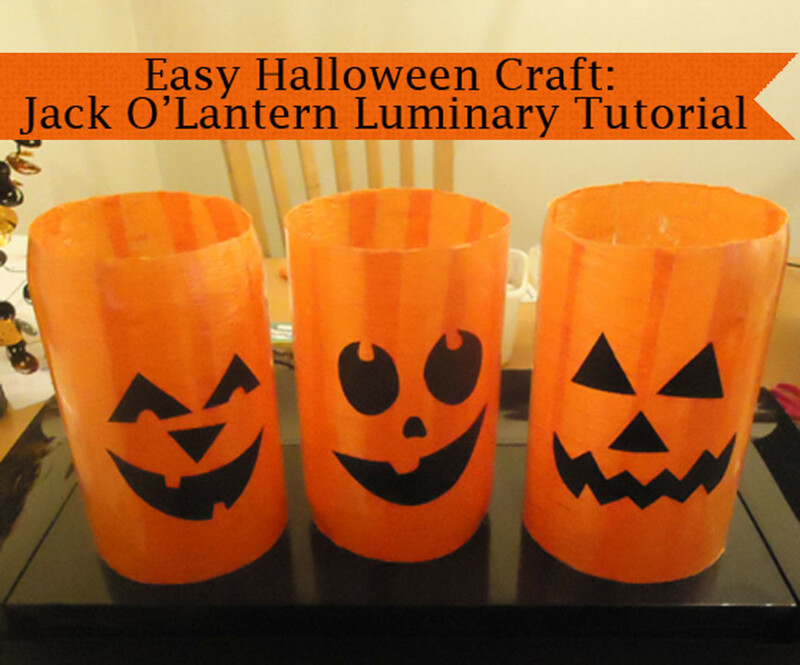 You could try using smaller sized plastic soda bottles (like the plastic seltzer water bottles or flavored water bottles at Wal-Mart) instead of the 2 liter to make smaller sized luminaries. 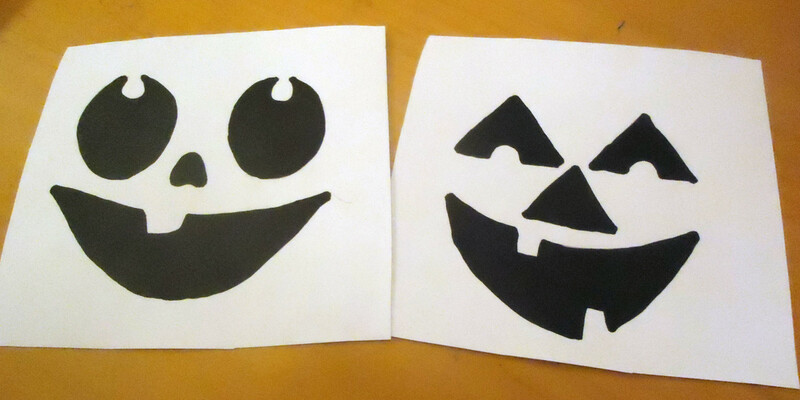 For free templates to print for the facial features, do a search for "free pumpkin carving templates". Many will come up for you to choose from. Thank you so much for stopping by and I hope you enjoyed the tutorial! Thank you very much. I feel so glad and honored for having been mentioned in your hub. What a beautiful creation. You've made another prove that a used plastic bottle plus creative touches can make something useful and unusually attractive decoration for Halloween. Vote up this hub ! Sherry Hewins- I actually have seen something similar made with plastic milk jugs.. except they were ghosts with strings of lights in them.. they were super cute and I'm sure they would make great pumpkins too :) Thanks for stopping by! Hmm. I bet I could make those out of plastic milk jugs. 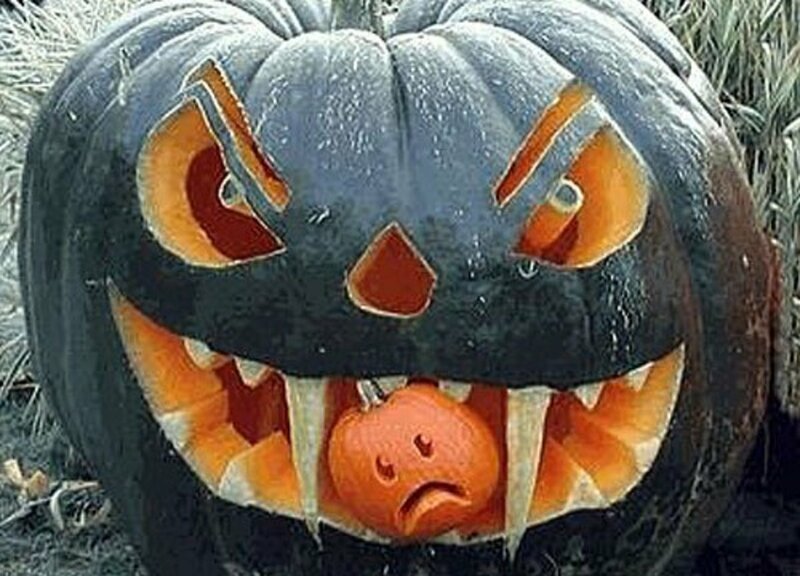 I have a steady supply of them, and they'd look more pumpkin-like. 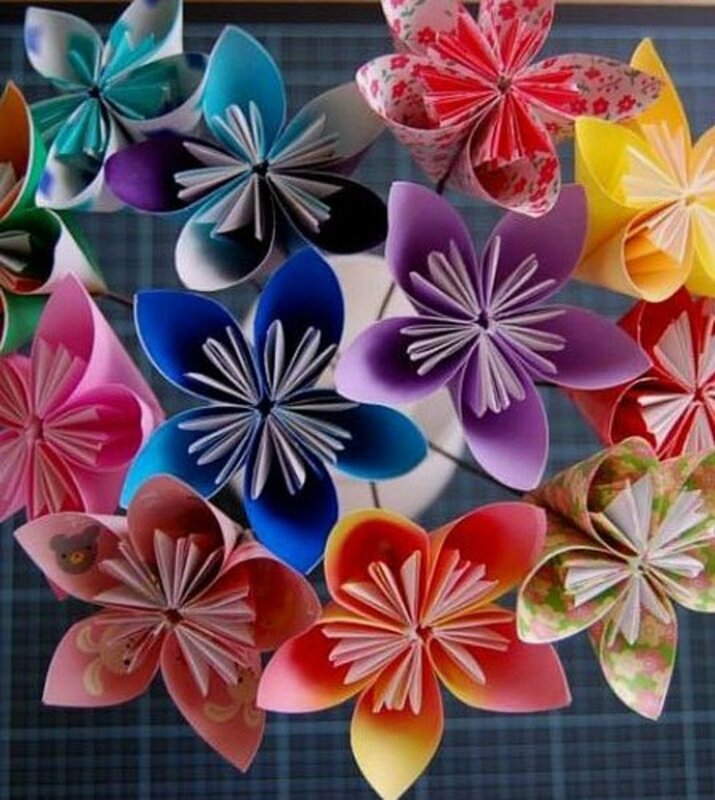 Wow, the effect here is amazing and the craft project is so simple! 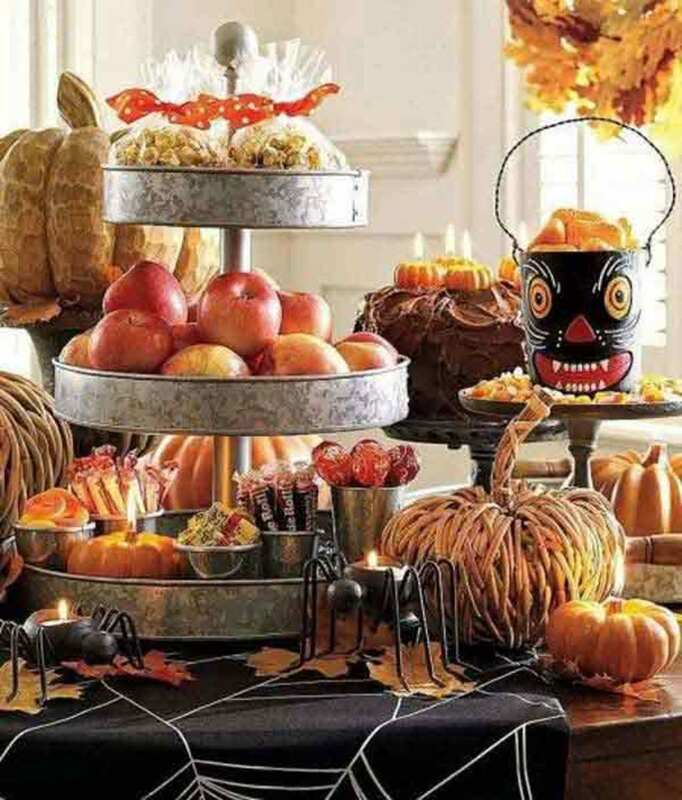 Thanks for sharing this great idea for Halloween. Hi Bill :) Thank you.... glad you like them! They do make nice little Halloween decorations.. 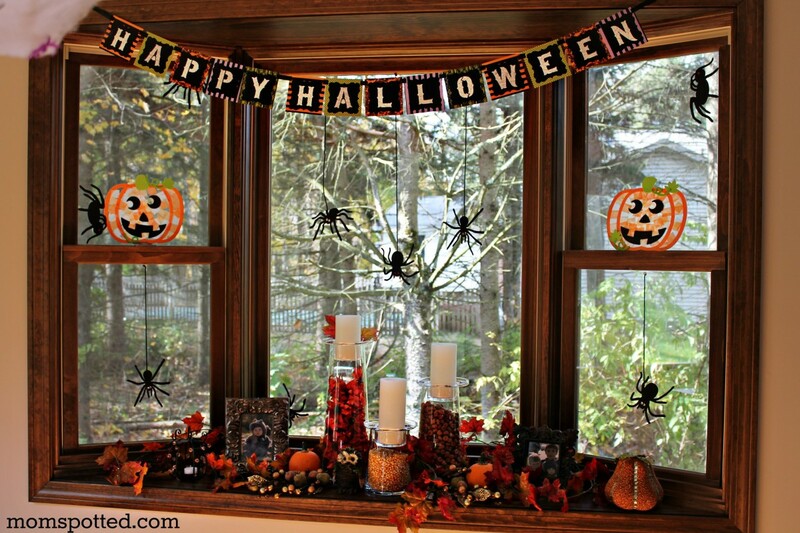 I was thinking about sitting them in the windowsill on Halloween.. I would sit them outside the front door but I live in apartments so not sure if people will mess with them or what. Thanks so much for dropping by!! Irc7815- Aww.. thanks! You are right.... these would look neat lining the streets of a neighborhood.. sort of like the paper sack ones. Instead of cutting off the bottom, it could be left intact with some sand in it or something like that.. That's a great idea! Thank you for dropping by and for the vote up! carol- Hi.. thank you for your sweet comment :) I'm glad you like the luminary! I love the word darling! What I really love about this one is that it's so darned cheap and easy to do... and the recycling feels good too. Thank you so much for the vote up and for sharing.. I so appreciate it!! Hi Jamie great hub and enjoyed reading this and liked the way you laid out this hub has well. And the steps were so easy to follow . Great tips and ideas has well . I love art projects! I'm going to try this out with my nieces. I love it! 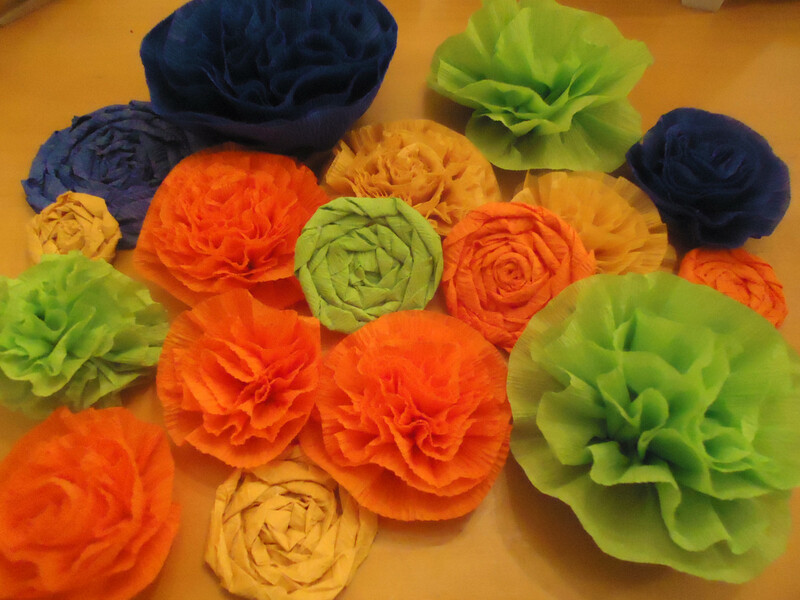 A simple and cute upcycled decoration. Cheers to free/low-cost crafts! To add to your paint and mod podge idea...I think I saw something like that too except they just added drops of food coloring to the mod podge. Since mod podge dries clear, all that was left was a transparent colored glass jar. That would probably work on a plastic bottle too. Super cool...Thanks for another great tutorial! These are beyond adorable! 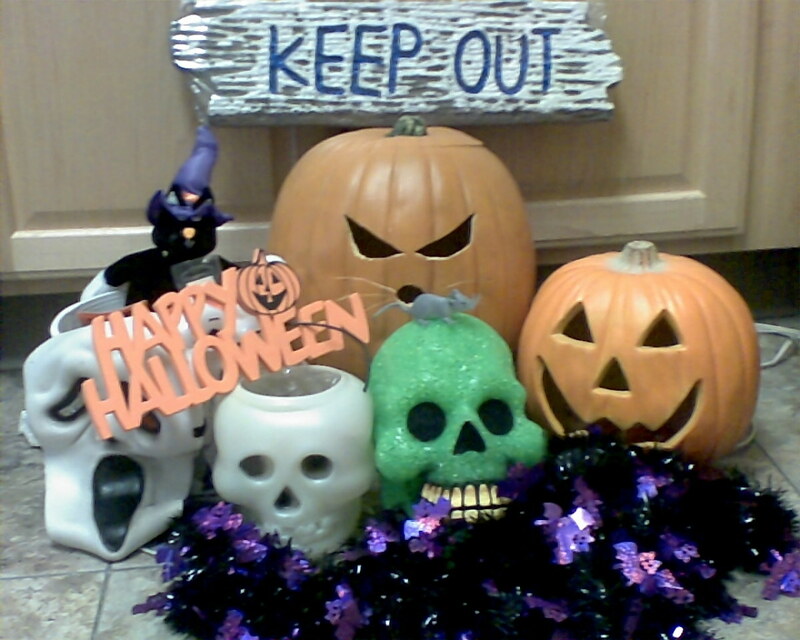 I love lighted decorations, especially for Halloween, and these would look great on your front porch or landing. And like your hubby, I have an addiction to Diet Coke so there are plenty of plastic bottles on hand to use. :P Thanks so much for sharing! What a cute idea. This would be so fun for an entire neighborhood to do and line the streets with light for the kids trick-or-treating. Voted up! You are so creative...I can see your mind spinning around with everything you look at. These are absolutely darling..I hope that word is okay..It just came to me. And don't you feel good recycling? Voting UP and sharing.